Mike Bullen is a digital marketing consultant, strategist, transformation specialist, growth hacker and serial inventor/entrepreneur who combines a solid digital background with the technical know-how to deliver real results. Over the last 18 years, Mike has worked with a range of private, public and government clients such as AHG Ltd, Water Corporation, BankWest, Tourism WA and Perth’s original incubator for digital talent, adultshop.com. With a passion for the Perth Start-Up scene, Mike launched Eurisko as a digital marketing consultancy and usually has a project or two of his own on the side, where he hones his results-driven approach. Mike’s ability to generate more leads, more sales and ultimately more revenue for his clients is a testament to his proﬁciency with SEM, SEO, web analytics, marketing automation, UX / CX, email marketing, and social media marketing, including social advertising, and earned media ampliﬁcation. Mike’s focus when delivering projects is to optimize & amplify digital experiences to generate more leads, more sales and more revenue. 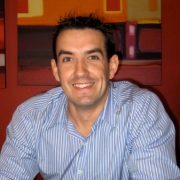 2005 Young Direct Marketer of the Year (WA), Mike Bullen, launched Eurisko to create a work environment that is interactive, engaging and ultimately delivers results. As a digital marketing consultant, Mike offers a range of digital consulting services that help clients achieve success online, whatever their size, business model or industry. Mike is driven by opportunities to get under the skin of businesses and like to keep things simple, jargon-free and practical. As a Digital Marketing Consultant, Mike’s comfortable with leading projects through to completion or simply joining your team on a casual/short-term basis. If you’re looking for an extra set of hands or some help on your digital projects, lets chat. Winner Best Use of Interactive Media “The Real Thing (UK)” Campaign. Whether it be as a digital marketing consultant, Google AdWords manager or simply an extra set of hands, Mike has worked with a number of Perth based businesses helping to deliver real online results. Services: Digital Marketing Consultant, Google AdWords Management, Local SEO & Reputation Management. Services: Customer Acquisition Strategy, Google AdWords Campaign Optimisation & Amplification. Services: Digital Marketing Consultant, Google AdWords Management, Website Management. Services: Google NFP Grant, Digital Marketing Consultant, Google AdWords Management, Website Management.